Manufacturer & trader of kids kaftan. Our product range also comprises of short kaftans, digital printed kurtis and digital printed scarves. manufacturer & trader of kids kaftan. Our product range also comprises of short kaftans, digital printed kurtis and digital printed scarves. 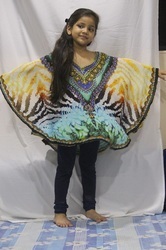 Looking for Kids Kaftan ?